So you want to learn how to start a blog? Great! 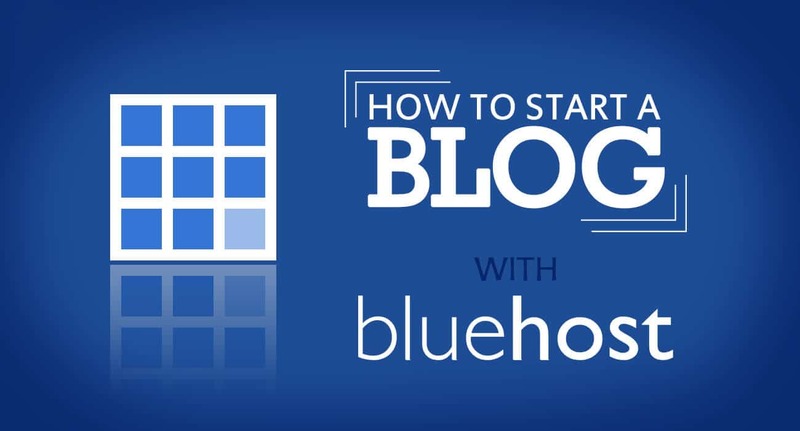 This tutorial will teach you how to start a blog with Bluehost. 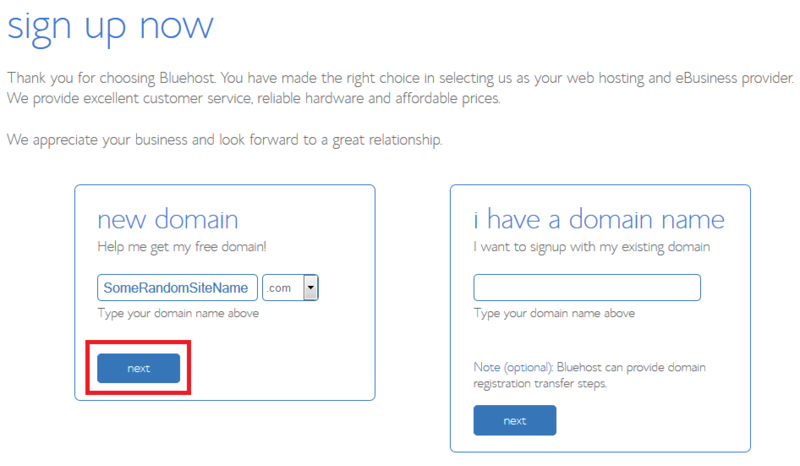 Don’t want to use Bluehost? I also have a tutorial on How to Start a Blog with Hostgator if you prefer HostGator. These steps should have you up and running with your own blog in about 15-30 minutes. **Note: This post contains affiliate links which means, at no extra cost to you, I will earn a commission if you choose to make a purchase. You can read about it more in my disclosure policy. Thank you all for your support! Go to Bluehost’s main page (the link opens in a new window so you can follow along), and click on the green “get started now” button. This will take you to a page where their various hosting packages are shown (see image below). You have a choice between the “Starter”, “Plus”, or “Business Pro” plan. If you’re just starting out as an individual, you would either choose the “Starter” or “Plus” plan. The difference between the two is that the “Starter” plan only allows you to have 1 website, and gives you limits on other options such as your website space, sub domains, and email accounts. 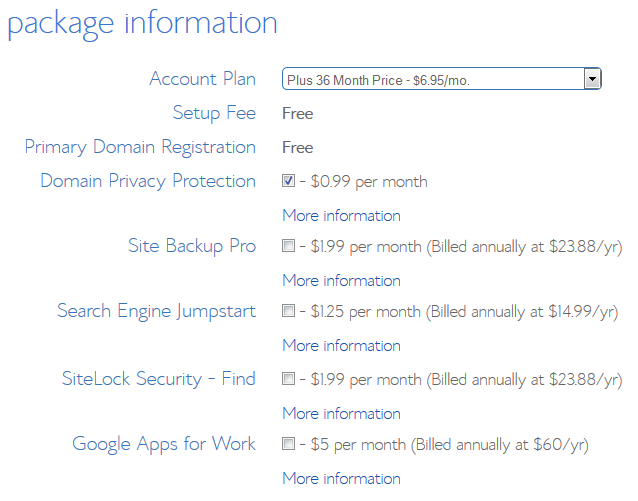 The “Plus” plan allows you to have unlimited websites, website space, bandwidth, subdomains, email accounts, etc. Also, you get $150 more in marketing offers. For this tutorial, I am choosing the “Plus” plan. However, if you only ever plan on having 1 website, go with the “Starter” plan (it’s cheaper too!). Hit “Select” on the plan of your choice to move on. 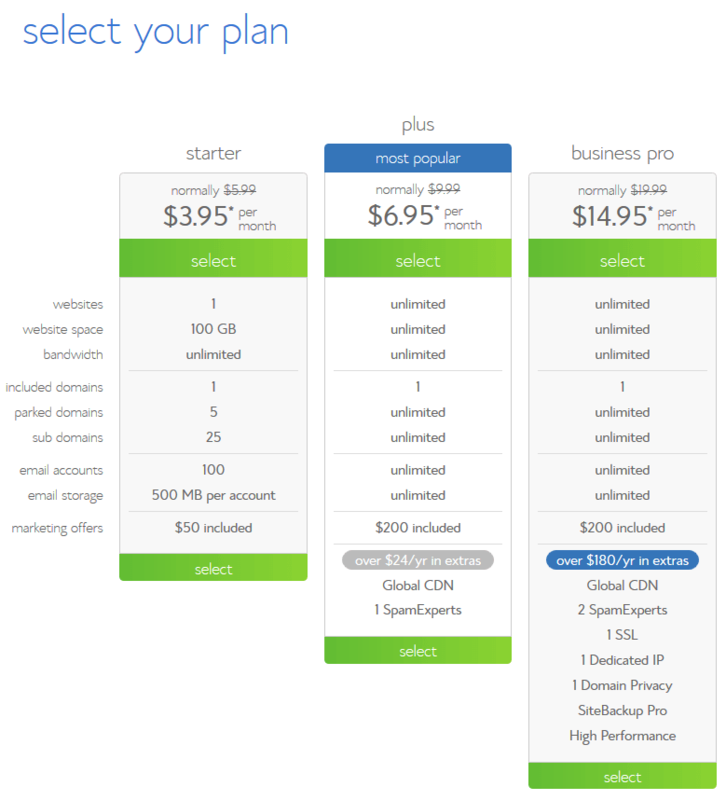 Once you select which plan you want, it’s time for you to choose a domain name. 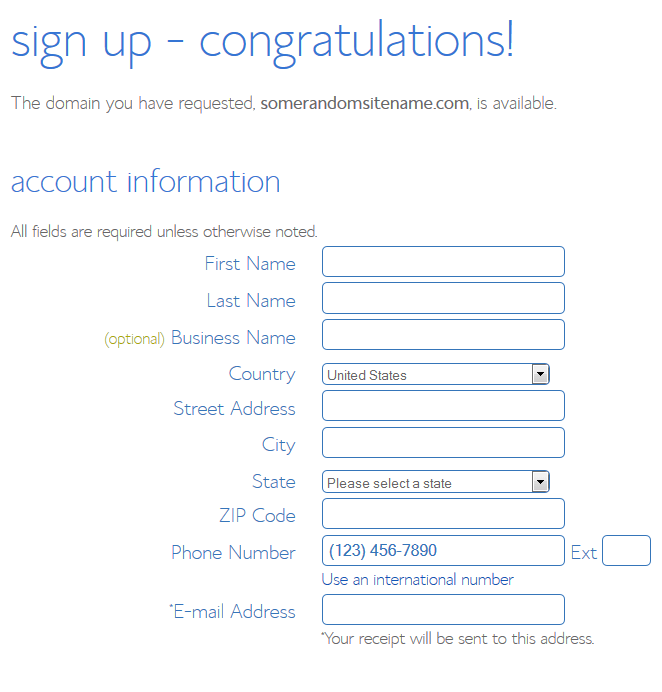 In the left box that says “new domain”, type in whatever you want your website name to be. For example, mine is crambler.com but you may want your website to be yourname.com or anything you’d like. Keep in mind that if the domain name is already taken, you cannot use it, and it will tell you it is unavailable. It has to be one that no one has claimed yet. After you type in the domain name, hit the “next” button outlined in red in the image below. Make it easy to remember. People are going to have a hard time remembering a super long and confusing domain name unless it’s some catch phrase. Use .com instead of .net, .org, .biz, .info, or others. It is by far the most commonly used and people will remember it easier. Shorten your domain name if possible. For example, crambler stands for “Constant Rambler” but I shortened it into a nice 8 letter word. Once you successfully choose a domain name that isn’t taken and hit “next”, you’re brought to a screen to fill out more information. The first section to fill out is the “Account Information”. Here you will fill out things such as your name, address, city/state, email address, etc. 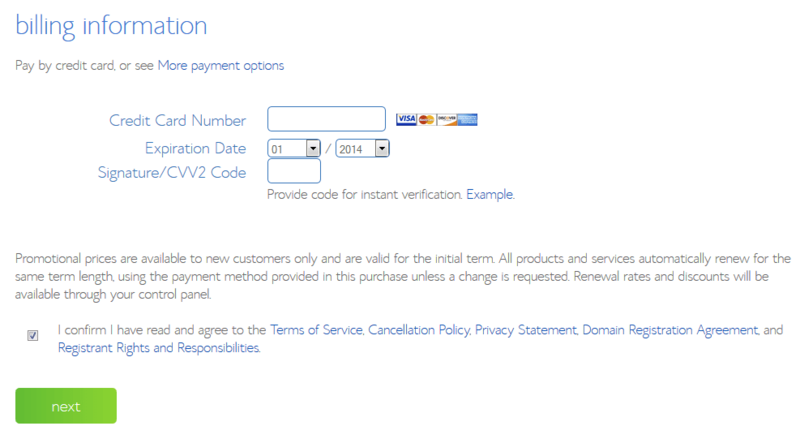 Make sure you enter a valid email address because your receipt and other important information will be sent there. The next section to fill out is your “Package Information”. Whatever plan you selected in the beginning should already be filled out in the first box. Keep in mind that the cheapest route to go is to pay for 36 months (3 years) up front. However, if you wish to only buy hosting for 1 or 2 years, you can choose a 12 month or 24 month plan, but your cost will go up a few dollars per month. Next, you have an array of extra options that you can choose. These include things such as Domain Privacy, Site Backup, SiteLock Security, etc. The only extra option that I would recommend would be the “Domain Privacy Protection”. Leave the others unchecked and I’ll explain Domain Privacy below. Almost there! The last thing to do is to fill out the “Billing Information”. Fill in your payment details, and then make sure to check the box that says “I confirm I have read and agree to the Terms of Service…”. Lastly, hit the green “next” button. You may be asked if you want any upgrades. Skip any upgrades and continue on with finalizing your order. Once you get things all set up and your hosting package ordered, congratulations! You have successfully purchased hosting for your new blog. You should receive emails to your provided email address that give you some information such as the URL to your site, and the URL to access your Control Panel. KEEP THIS INFO because we will need it for the very last step – Installing WordPress. You’ll get brought to a SimpleScripts page. Under “Blogs”, choose “WordPress”, and you’ll get brought to a page with an Install button. Press this Install button, and you’ll be shown some installation preferences. For the first section, it will show the URL where WordPress is going to be installed. Just leave this at http://www.yoursite.com/ and leave everything after the slash blank. The second section will be where you fill out some administrative options. Expand the options if they aren’t already. Fill in the WordPress site title (you can make it your domain name such as Crambler – this can be changed later at any time). Then, come up with your admin username, admin password, and admin email. 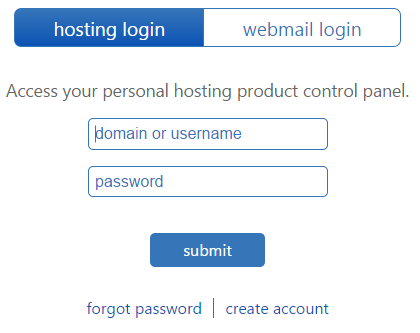 Keep the admin email the same as the one you used to sign up for hosting (unless you want it to be different). Also, for your “Admin Username”, NEVER EVER make your Admin Username be “admin”. Make it something that is unique and that isn’t guessable. Once that is done, if there are extra themes or plugins checked, you can leave those. Scroll down and accept the terms and hit complete. WordPress will start installing, and once it is done you should see a “Success – Installation complete!” message. After it successfully installs, you’ll see a couple URLs. The most important one is your “Login URL”. This is the URL that you will always go to in order to log into WordPress. It can be found at http://yourdomain.com/wp-admin. Go to that URL and sign in with your WordPress credentials. Congratulations! You have now successfully purchased your own domain, hosting package, and are up and running with WordPress. Not so bad, was it? If this post was helpful, please share it with your friends so they too can learn how to create a blog using Bluehost! Also, let me know how it went! Blue Host is the best hosting services company in India. Great Article with every step, It helps me to start my Blog on Bluehost. Glad it helped you start a blog, Divesh!